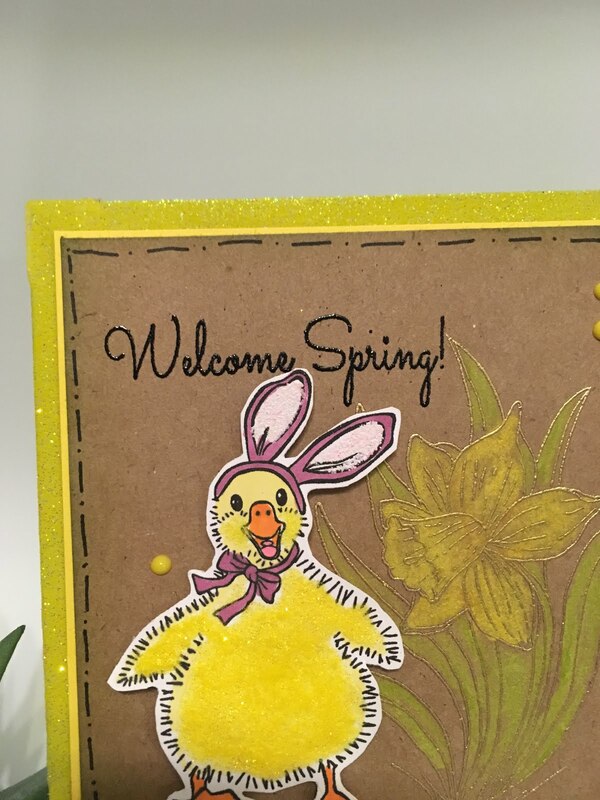 It's Designer Jess here today with a super quick card that features 2 of our new release sets! They are Easter Parade and Welcome Spring! This was such a happy card to me! Plus, it was a cinch to make. 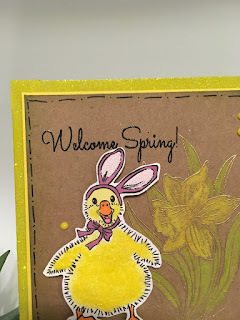 First, I started by stamping my Welcome Spring daffodil image onto the kraft cardstock (approx 4.5x4.5) with Veramark Ink and heat set with Gold Detail Embossing Powder. I used Watercolor Pencils to color the daffodil. 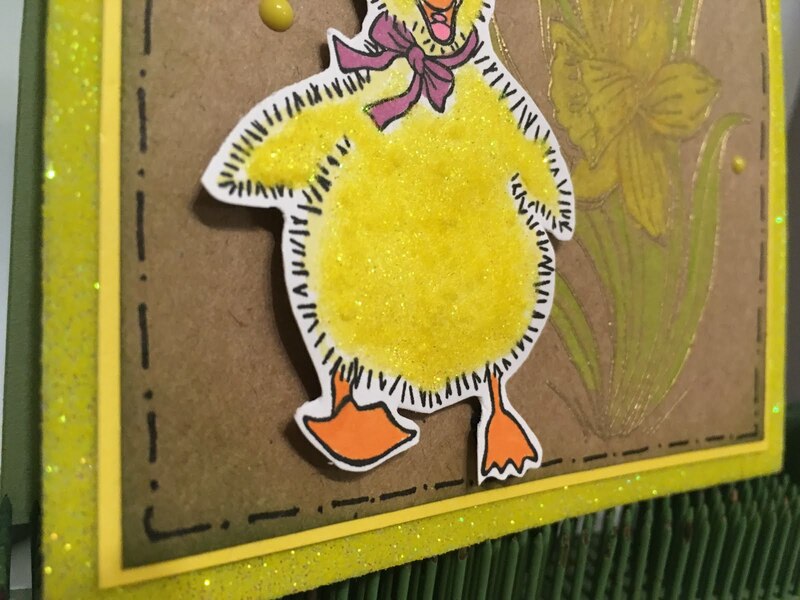 On a sheet of white cardstock, I stamped the cute little birdie using black ink and colored the ears & feet with ShinHan markers, then covered the body with Dimensional Glue. I sprinkled on the Sun Dazzle Flocking, tapped off the excess and let it dry. 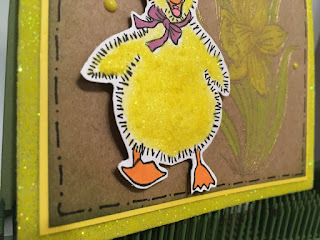 Cute little fuzzy duckling!! 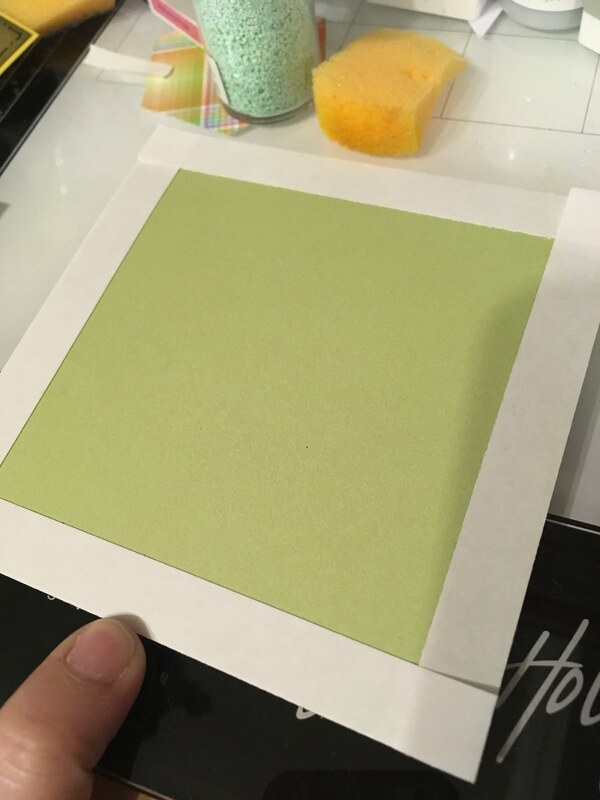 The sentiment was stamped with Versamark Ink and heat set with Black Dtail Embossing Powder. To the cardbase, I covered the edges with 1/2" Tear-ific Tape, then sprinkled on Dandy Dandylion Embossing Powder and heat set to create a border. The layers were all attached with 1/2" Tear-ific Tape. Once my birdie was dry, I attached her with some foam squares for dimension. Finally, I used a jouranling pen to create faux stitching around the edges.